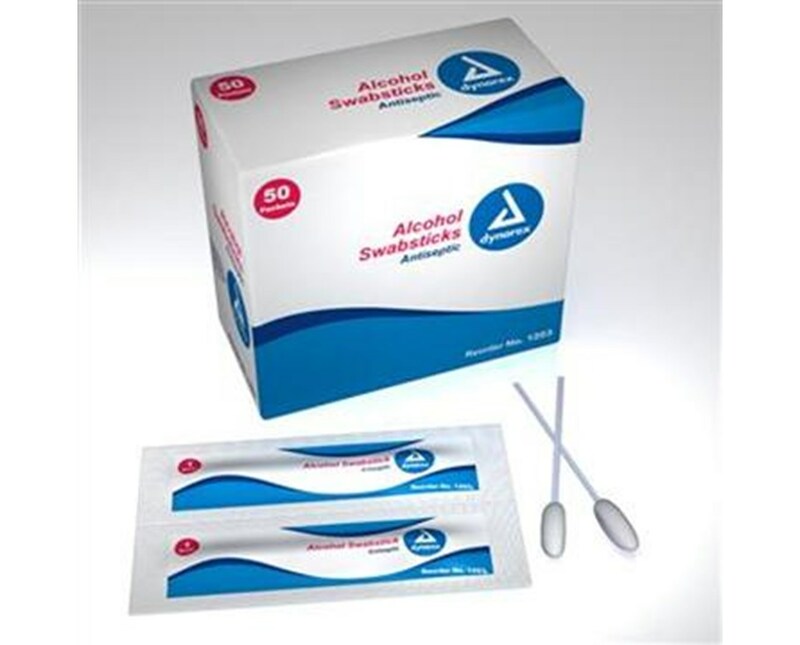 Alcohol swab sticks for antiseptic skin preparation prior to injection or venipuncture. Help reduce the risk of infection by cleaning away those unwanted bacteria. Convenient for physician offices, hospitals, and nursing homes. 50 packs/box, 10 boxes, a total of 500 swabs (#1203) More cost efficient when one swab will get the job done. 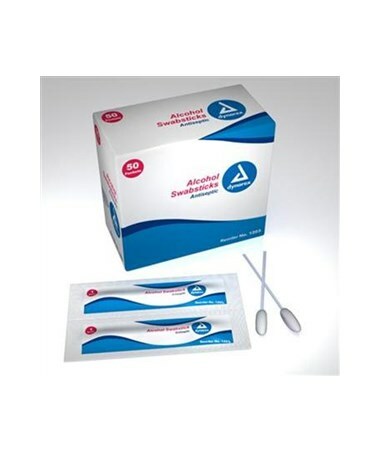 3-swab pack - 25 packs/box, 10 boxes, a total of 750 swabs (#1204) This handy 3-pack will save money in the long run when more than one swab is needed. Disposable convenience without the waste when a procedure requires a triple clean. 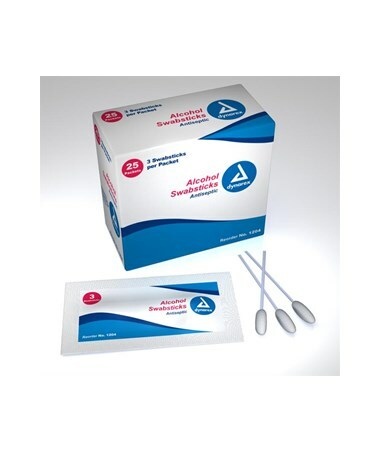 Dynarex 70% Isoprophyl alcohol saturated swabs for your antiseptic single-use needs.